Anastasia's original cast recording on the Broadway Records label will be available for pre-order online beginning on March 21. The CD will be released in June with an exact date to be announced. Featuring a score by Stephen Flaherty and Lynn Ahrens and a book by Terrence McNally, Anastasia tells the story of a brave young woman attempting to discover the mystery of her past. The musical features tunes from the film, including Ahrens and Flaherty’s Oscar-nominated “Journey to the Past,” as well as original songs. 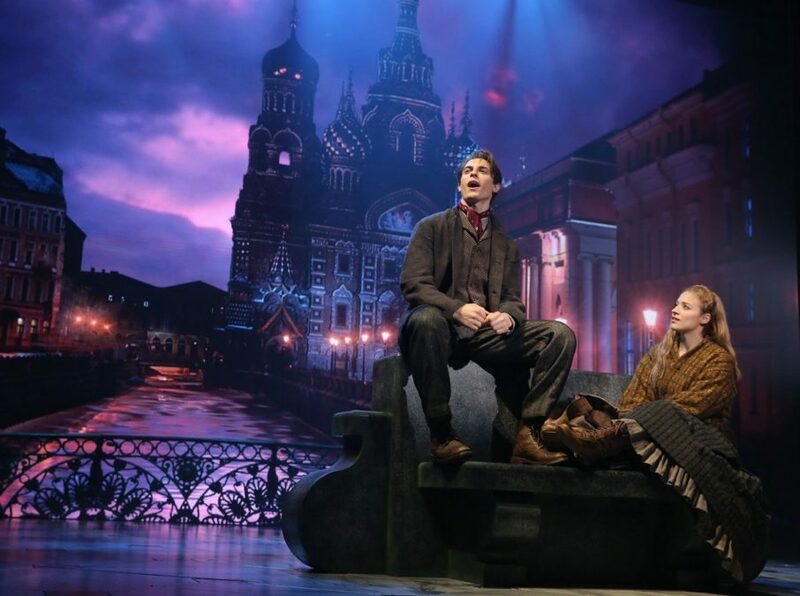 Christy Altomare stars in the title role, with Derek Klena as Dmitry, Ramin Karimloo as Gleb, Mary Beth Peil as Dowager Empress Maria, Caroline O'Connor as Countess Lily Malevsky-Malevitch and John Bolton as Vlad Popov. Anastasia begins Broadway performances March 23 at the Broadhurst Theatre. The new musical, inspired by the 1997 animated film of the same name, is directed by Tony winner Darko Tresnjak. Opening night is set for April 24.